It’s 2 Years of Shelter – 2 Years of Sub-Culture and they are celebrating with one of the heavy weights of the Dubstep scene – DJ Distance (Planet Mu, Chestplate/ UK). 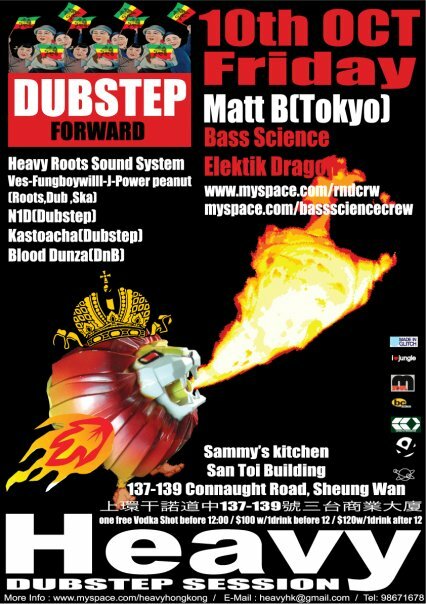 Posted: November 19th, 2009 under Dubstep, Gigs out of town, In the region, News. Yes Yes! Kongkretebass is in action again. 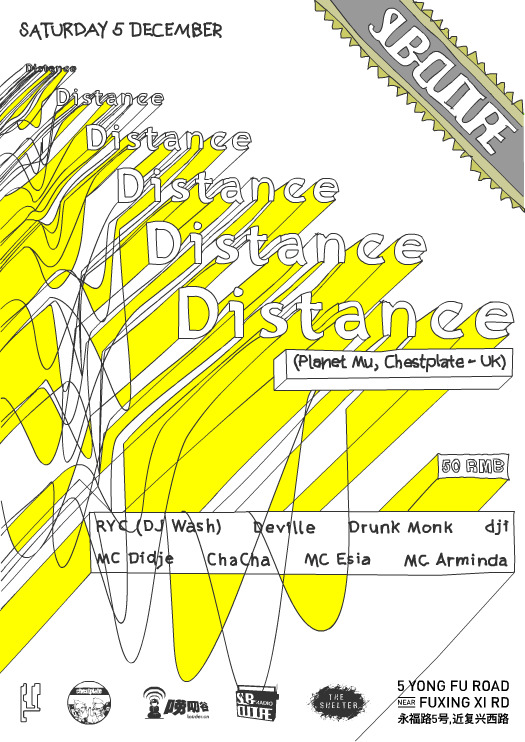 This November, Kongkretebass goes Shenzhen – supporting our neighbours’ monthly dnb ramblings. Posted: November 2nd, 2008 under Gigs out of town, In the region, News. Looking at this week’s gigs calender there are 2 notable events coming up this Friday. The Heavy crew reach out to HK heads with another sub-bass heavy concoction of drum & bass and dubstep. 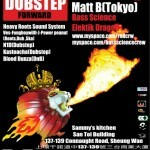 The event is headlined by dubstep DJ/Producer Matt B, who is flying in from Tokyo, Japan. Whilst the local fellas serve other condiments including Reggae, Dub & DnB. Just across the border North of Hong Kong, China’s busy city of Shenzhen has started spawning a little drum & bass following of its own. For the 3rd month in a row, Quest (aka Jesse) and friends invite local dnb lovers to their free party. So anyone nearby, head to Liantang Book Boutique bar and check it out! Posted: October 8th, 2008 under Gigs in HK, Gigs out of town, In the region, News. 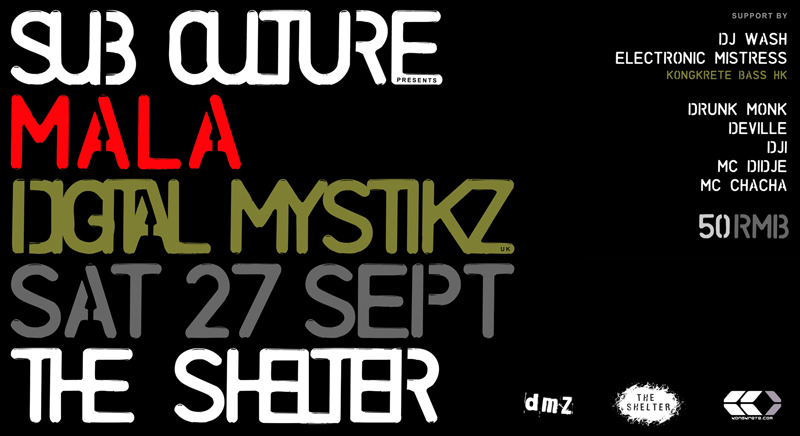 – Sub Culture ft. MALA @ The Shelter. See you there! Posted: September 15th, 2008 under Gigs out of town, In the region, News. 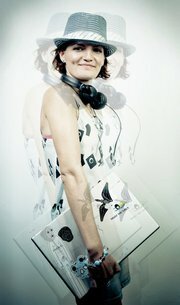 The release of ISHU’s debut, self titled EP is set for late April 7, 2008, through ForeignDub/MGM. 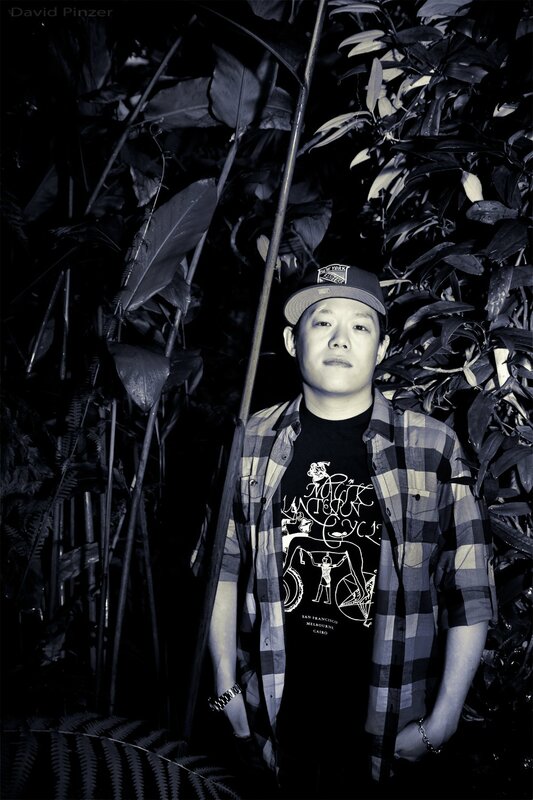 Written and produced in his very own modest studio in North Melbourne, it encompasses seven tracks of expressive hip hop, fused with dub, reggae, drum n bass and electronica. 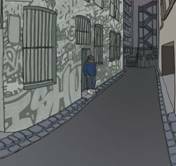 With feature artists such as Lotek (UK; Big Dada), Gina Mitchell (SYD; Astronomy Class LP, Basslines), Dragonfly (MELB; Tall Man Soundsystem, Dragonfly & Julez) and more, the EP as a whole represents ISHU’s life influences. Mastered at Melbourne’s legendary Crystal Mastering, it is the perfect blend of organic and synthetic. Posted: March 7th, 2008 under In the region, News. 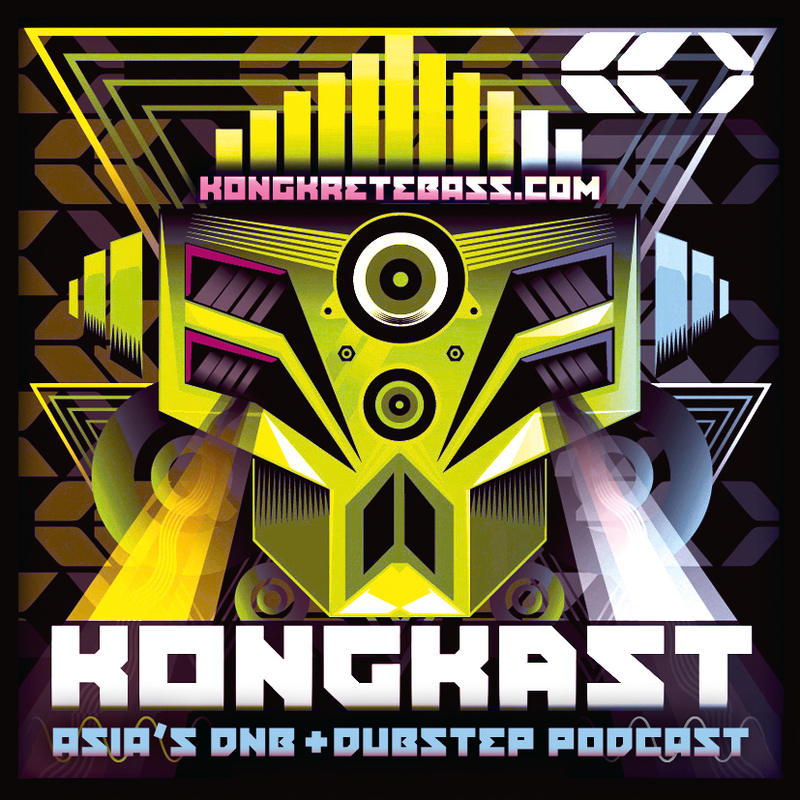 This week’s Kongkretebass podcast comes with a warm summer breeze from Down Under… KONGKAST #49 features an exclusive guest mix-set by DJ p_O from Sydney, Australia. The boys recently released a compilation CD ft. artists they have hosted throughout the past 3 years. The DNBBQ Compilation is packed with 28 tracks ranging from Dub, Grime, hiphop, dancehall to fully flavoured Drum n’ Bass – by Big Bud, Rastawookie, King Wrasse, Lordz of the Fly & Budspells… to name a few. Limited copies of the CD (which also ft British DNB legend BIG BUD) will be available on Sat, 19th Jan ’08 at the BIG BUD event at TWYST MIND in Hong Kong. 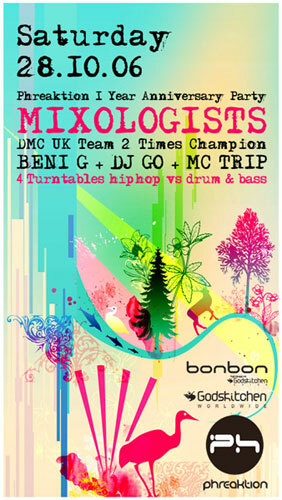 Posted: January 15th, 2008 under Drum & Bass, In the region, News, Tunes & Mixes. Whilst browsing around for some new accessories on this sweaty Sunday afternoon, I stumbled across 2 very interesting items: the aircushion cup & a new regional music forum – both on Bangkok based Jazzbah Recordings. Posted: July 15th, 2007 under In the region. Posted: December 5th, 2006 under In the region, News. Posted: October 28th, 2006 under In the region, News.